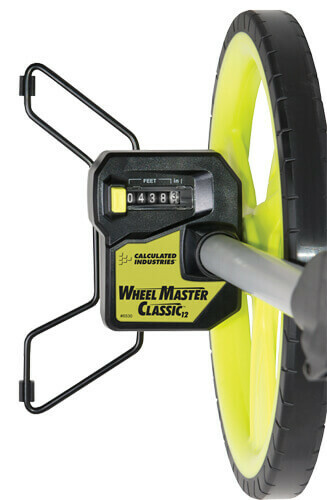 The Calculated Industries Wheel Master Classic 6530 is a heavy-duty distance measuring wheel designed for professionals. It's easy to use, lightweight, affordable and folds to half size for convenient transport and storage. Well-built and ergonomically designed, it will give you dependable, accurate results you can count on for years to come. Great for Contractors, Estimators, Engineers, Landscapers, Paving Contractors, Real Estate Pros, Appraisers, Utility Personnel, Surveyors, Police Work, Facility Engineers, Telecommunications Contractors; Fencing, Flooring and Janitorial Specialists. 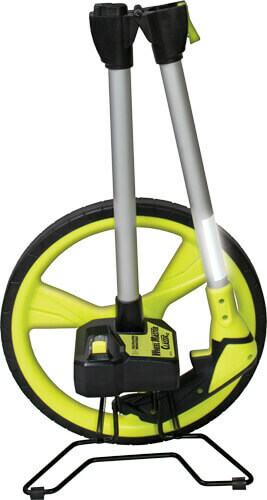 Wheel Size: 12.5 inches dia., 39.3 inches circ.